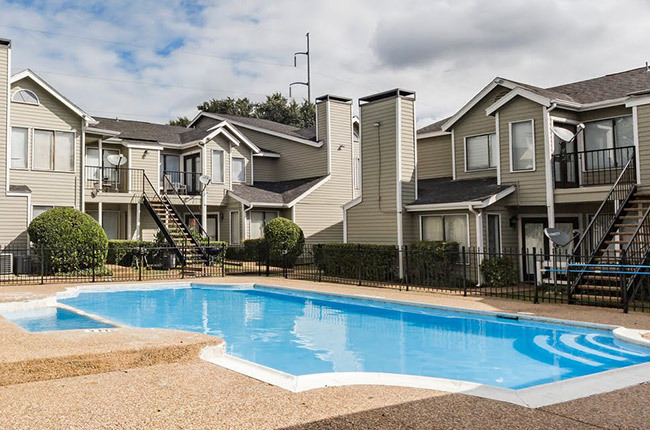 Welcome to Woodside Lane Apartments, a community offering the finest apartments in Dallas, Texas. If you’re looking for outstanding amenities, beautifully modern interiors, and an unbeatable location, our affordable apartment community is the perfect place to call home. You deserve the extraordinary comfort of our one and two-bedroom homes that come standard with contemporary features including fireplaces, updated kitchen appliances, and washer and dryer connections. All throughout our welcoming community you’ll discover the enriching amenities that make Woodside Lane Apartments so special– including an outdoor swimming pool! Get the peace-of-mind you so ardently deserve, and experience a slice of "the good life" at Woodside Lane Apartments where our friendly management staff and generous service offerings effortlessly accommodate your unique lifestyle. When you call Woodside Lane Apartments home, you have the best of Dallas available right at your doorstep. Located in Lake Highlands, our charming neighborhood features outstanding schools and convenient access to Highway 635 as well as all the local dining, shopping, and entertainment options you could ever need. Grab your necessities at the Kroger or enjoy the one-stop shopping at Walmart– both located down the street. A quick drive allows you to explore the latest trends and fashions offered at Town Creek, Royal Highlands, and Skillman Village Shopping Centers. Plus, there are a plethora of restaurants nearby whether you’re searching for an early morning pastry at Haji Bakery or the perfect date night at Aggies Restaurant. There’s no shortage of excitement in our North Dallas neighborhood, especially with Downtown Dallas a mere fifteen minutes away.